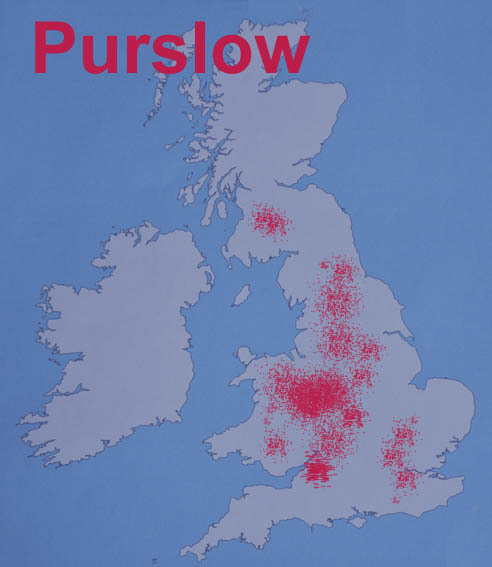 The Pursglove and Purslow families have a different distribution pattern based on the national census data from 1941 to 1981. After that date the distribution becomes more complicated. 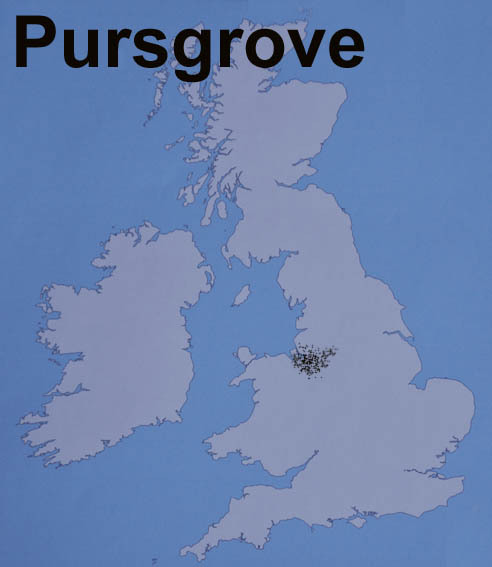 Pursgloves are centred around Derbyshire and Purslows are centres around Shropshire. Distributions of other typical variations in the Pursglove name are shown below.